Episode details below and links to watch the series on-line! "When Calls the Heart" based on the series of books by bestselling author, Janette Oke is the captivating story of Elizabeth Thatcher, a young teacher accustomed to her high society life, who receives her first classroom assignment in Coal Valley, a small coalmining town where life is simple, but often fraught with challenges. Abigail Stanton, a wife and mother whose husband, the foreman of the mine, along with a dozen other miners, has just been killed in an explosion. The newly widowed women find their faith is tested when they must go to work in the mines to keep a roof over their heads. Elizabeth charms most everyone in Coal Valley, except Constable Jack Thornton who believes Thatchers wealthy father has doomed the lawmans career by insisting he be assigned in town to protect the shipping magnates daughter. Set against the wild canvas of a 19th century coal town, Elizabeth will have to learn the ways of the frontier if she wishes to thrive in the rural west on her own. Episode 1: "Lost and Found": Elizabeth Thatcher arrives in Coal Valley, and is welcomed by Abigail Stanton and the new Constable Jack Thornton. The town is at odds when a special message is found at the site of the fatal coal mining accident. Episode 2: "Cease And Desist": Abigail Stanton and the widowed wives receive notices from The Pacific Northwest Mining Company asking them to evict their company-owned homes unless they pick up where their husbands left off. Episode 3: "A Telling Silence": Elizabeth helps a mute student who is struggling to cope with the death of her father; Jack investigates the mysterious circumstances surrounding the burning of Coal Valley’s only church. Episode 4: "Secrets And Lies": After finding the cans of whale oil, Jack investigates Cat Montgomery for her possible involvement in the church arson case. When the evidence points to Cat, Gabe becomes infuriated by the idea of his mother being imprisoned for something she didn’t do. Episode 5: "The Dance": When a group of new male miners comes to Coal Valley, many of the town's women get caught up in the idea of the single men. One of the new miners begins courting Elizabeth and Jack seems to have concerns that resemble jealousy. Episode 6: "These Games": The Miners' Games allow the townspeople to cut loose and have a little fun; Elizabeth and Billy Hamilton spend more time together; Jack investigates a series of robberies that are plaguing Coal Valley. Episode 7: "Second Chances": Abigail must pay a steep price to complete a top-secret project she's been working on; one of Elizabeth's students has trouble reading so she enlists Jack's help for a creative solution; Abigail gives Jack some fine advice on a woman like Elizabeth. Episode 8: "Perils of the Soloists": Elizabeth must put on the Coal Valley Founders' Day play on short notice; the only surviving miner from the explosion comes home from the hospital with a shocking surprise; Jack has a heart-to-heart with Adam in hopes of bringing them back together. 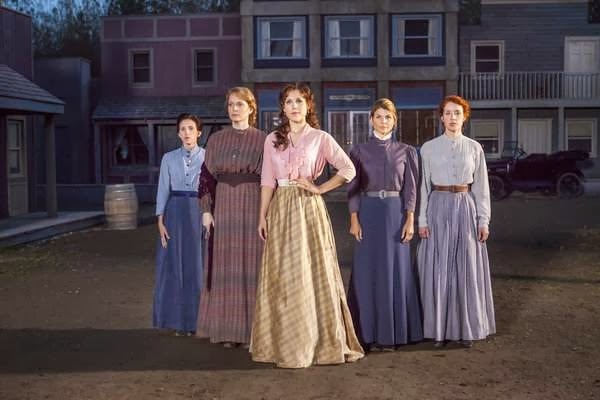 Episode 9: "Change of Heart": Elizabeth's sister visits Coal Valley and stirs up trouble when she meets a wounded man and brings him back to town; Jack finally asks Elizabeth to dinner in an act of courtship, but he's about to receive some shocking news that could change everything. Episode 10: "Love Comes First": Abigail does some detective work and learns more about Gowen's dangerous conduct leading up to the mine disaster; Julie Thatcher is becoming closer with Nathaniel when the rest of the Tolliver gang arrives in Coal Valley. Episode 11: "Rules of Engagement": Jack is back in Coal Valley along with an unexpected visitor that threatens he and Elizabeth's relationship; Elizabeth receives some unforeseen news that will force her to make a very difficult decision. Episode 12: "Final Adieu: Prelude to a Kiss": Bill Avery continues his investigation into the mine explosion with help from Jack; a budding romance grows between Bill and Abigail; Elizabeth struggles to make a decision about the teaching offer. This has been a wonderful Family Drama / Television Series on the Hallmark Channel. 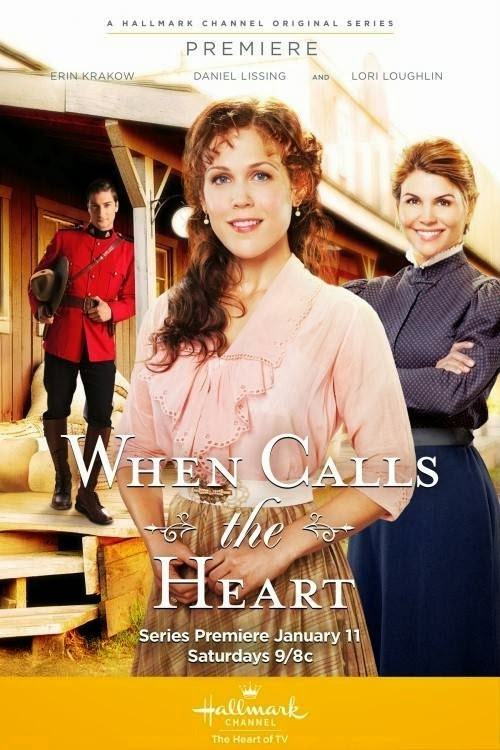 "When Calls the Heart" Season One on DVD! 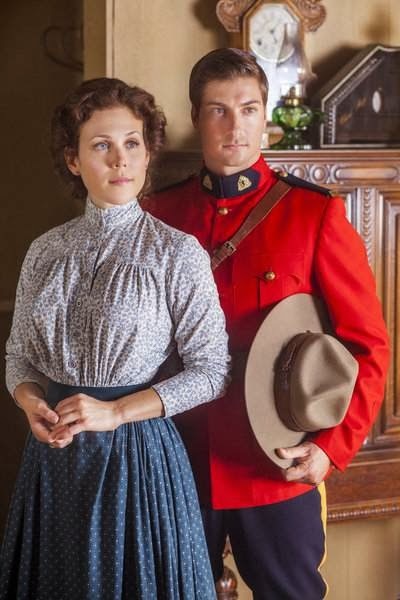 The most warming and beautifully-written drama on Hallmark for a very long time. I hope it will be repeated. I could see every episode over and over again. Thank you so much for all your wonderful information. Love Hallmark movies and would love to get the DVD of "When Calls The Heart" entire season. I love your When Calls the Heart page and episode list. This is the best show on TV. I hope Jack and Elizabeth end up together. 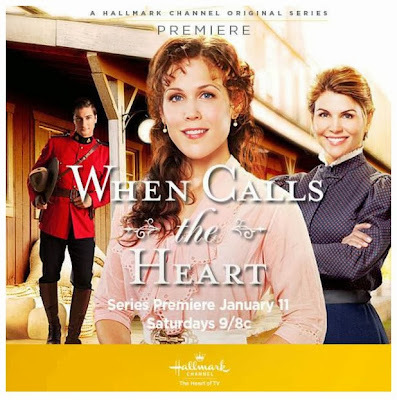 Will "When Calls the Heart" come back for another season, or was this season the beginning and end of the story? Hoping it can become a regular series! 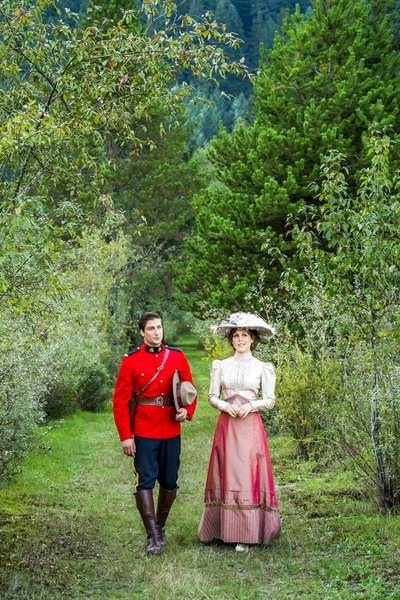 "When Calls the Heart" has been renewed by Hallmark for a second season. They will film it this fall and it will air next May, 2015 on the Hallmark Channel! It's a long wait, but certainly well worth it!